I didn’t plan to cook this dish initially. Why came up with this dish then? The minute I went into a nearby grocer, I spotted three ladies feeling really excited to choose something the other day. My curiosity urged me to step forward and find out what they were picking. They were chestnuts, my most favourite nuts. Although the chestnuts were not big, they were shiny and fresh. Compared with those in supermarkets, it’s a good bargain. It didn’t take me too long to pick a full bag of beautiful chestnuts back home. Off I went to braise them with pork ribs. 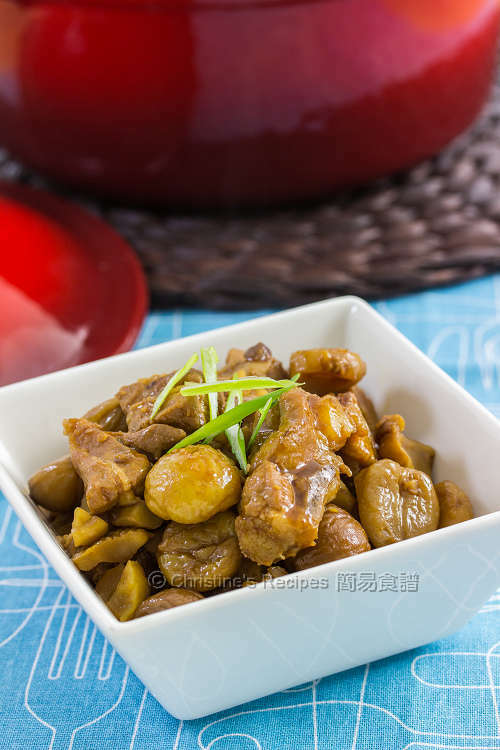 This dish perfectly goes with a bowl of steamed rice. I saved some for my daughter as next-day lunch. The leftover tasted even better than we thought. Rinse the pork ribs and wipe dry. Cut into chunks. Mix with marinade and set aside for about 30 minutes. Heat oil in a large heavy based pot. Sauté garlic, shallot, ginger and ground bean sauce over medium heat. Add pork ribs and cook until the surface turns white. Sprinkle wine and stir to combine. Pour water. Bring it to a boil with cover. Reduce heat to simmer for about 20 minutes, or until the ribs start to turn soft. 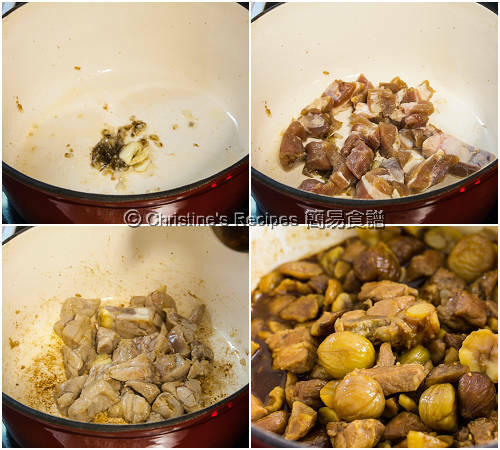 Add the chestnuts and cook for another 20 minutes, or until softened but still hold their shapes. Stir in the sauce and cook to your preferred consistency. Serve hot. 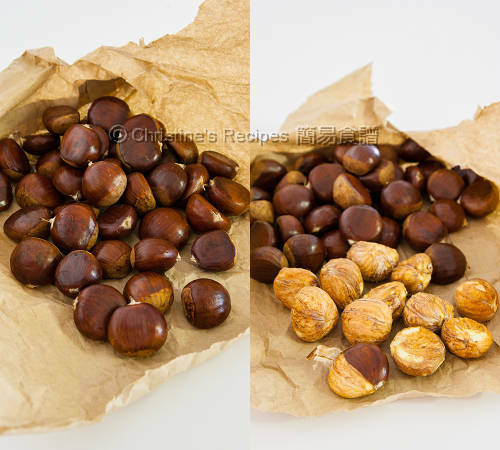 How to get the best raw chestnuts: Choose those chestnuts with shiny and dark brown shells. You should feel them firm and tight inside with your fingers. If there are some black spots on their bottom, they are not fresh. When trying to remove their shells, I find it’s easier to start cutting the tip off with a knife. After peeling of the outer shells, soak them in very hot water for about 3 minutes. You can easily pull off their inner brown skins with a knife. As the power of every stove is very different, please adjust the cooking time. 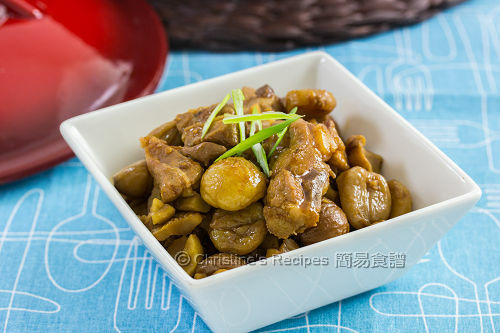 If the water dries up before the pork and chestnuts turning soft, add some boiling water and continue to cook. Ground bean sauce (磨豉醬) is available at any Asian grocers.